Although there are no official sales numbers yet, it's become pretty clear that Go Set A Watchman is going to top the bestseller lists. So, if you haven’t yet picked up or pre-ordered your copy, you might want to hop on that before the bookstores are cleared — because Harper Lee’s much-anticipated new book is flying off the shelves. Tina Andreadis, a spokeswoman for HarperCollins, said that the publisher printed 2 million copies of the book for the first run, which is the largest number HarperCollins has ever run for a first printing of a book. According to the New York Daily News, pre-sales for Go Set A Watchman hover around the same number for the last Harry Potter book; however, no figures have been offered to back up the claim. According to Alabama Public Radio, the Alabama-based book distributor Books-A-Million has received more pre-orders for Watchman than for any other book for adults. At one small, indie bookstore in Harper Lee’s hometown of Monroeville, Alabama alone, 7,000 copies of the book were ordered. 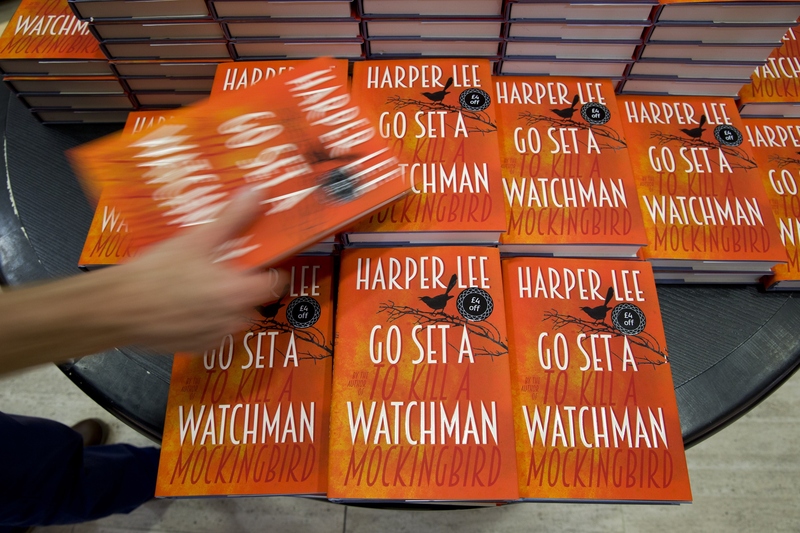 Although Harper Lee’s To Kill A Mockingbird is one of the most beloved of American novels, the wild sales phenomenon of Watchman is hardly restricted to the U.S. The book was released in 70 countries on Tuesday, and in the U.K., pre-sales for the book through Waterstones, one of the U.K.’s biggest book retailers, were more than three times the number of pre-sales for E.L. James' Grey — and that was four days before the book’s release! Adreadis told the New York Daily News, “We knew it was going to be big because (‘Mockingbird’) is the most beloved book and people always wanted to read something else from Harper Lee.” Well, she was right.